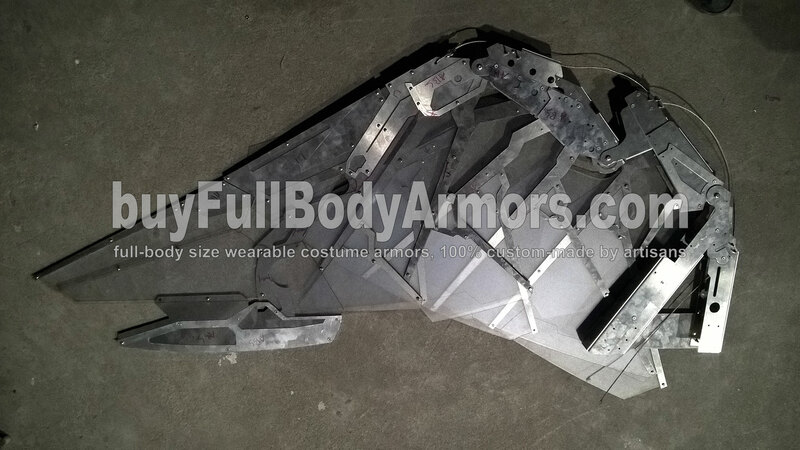 We designed an articulated structure for the wing of the wearable Avengers Falcon suit. The purpose is to allow the wearer to extend the wings from the back pack or retract back to it. This has been proved a great challenge because of the tricky balance between structure strength and thickness of the material. This entry was posted in News,Falcon Suit Wearable Armor Costume R&D Milestones,Falcon Suit Wearable Armor Costume R&D Full History and tagged Avengers Falcon armor for sale,Civil War Falcon armor for sale,Avengers Falcon costume for sale,Civil War Falcon costume for sale,Avengers Falcon suit for sale,Civil War Falcon suit for sale on Mar 29,2016.